Want to get a heads start on a dream job at SpaceX? The SpaceX FIRST Alumni Scholarship recognizes FIRST Participants and Alumni who are taking their hands-on engineering expertise to the next level. 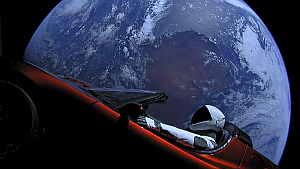 Recipients will receive scholarship awards of up to $500 and exclusive opportunities to connect with SpaceX. Open to FIRST alumni currently enrolled in university as well as high school seniors. Apply online by Monday, May 21, 2018.